Laser shone into cockpit of plane landing on P.E.I. A commercial aircraft on its way into Charlottetown Airport was hit by a laser beam Sunday, say RCMP. A commercial aircraft on its way into Charlottetown Airport was hit by a laser beam Sunday, RCMP say. The inbound flight was over the Brackley Beach area just after 11 p.m. when the incident occurred, RCMP Sgt Leanne Butler said. "We did investigate — we were not able to find any witnesses or any person that was doing it at the time," Butler said. "We are asking the public if they know anything about this to give us a call and we will further investigate," Butler said. "We do believe that it came from the Brackey Beach area." The pilot reported the green laser shone into the cockpit for five to 10 seconds. The plane landed without any difficulty. In a statement, WestJet said neither pilot looked at the laser, so were not affected. 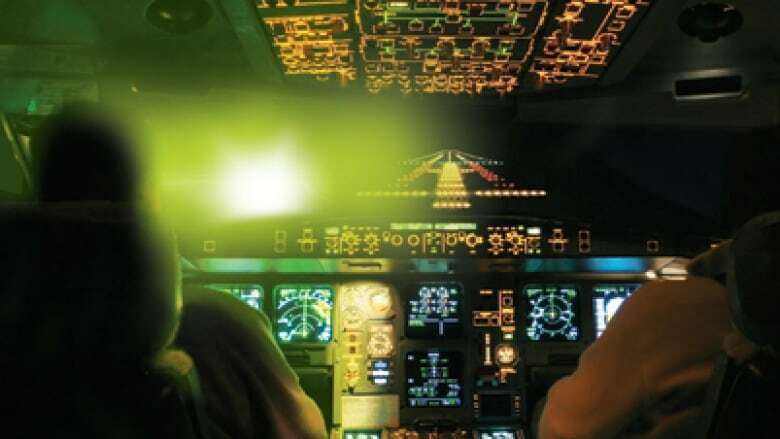 Lasers can temporarily blind pilots. Shining a laser at an aircraft is a federal offence punishable by fines of up to $100,000 and/or five years in prison. "This is dangerous and it is illegal," emphasized Butler.